One Size Fits Most. 75% Cotton, 17% Polyester, 5% Spandex, 3% Rubber. Made in USA. These wide ribbed socks reach to mid-calf on most folks and fit a women’s size 6 US to men’s size 15. 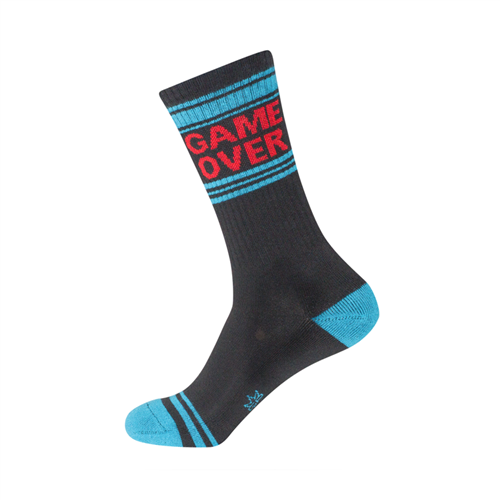 As a thicker weave, these socks are optimally worn with sneakers and other roomy shoe styles. Machine wash cold, line dry.